Five Steps to a Closet Makeover - Hej Doll | Simple modern living by Jessica Doll. If you’ve been a fan of my blog for any amount of time you probably know by now that I am a huge fan of a minimal wardrobe and have shared many of my tips and tricks on how to create and maintain one. Today I’ve partnered up with my friend Shira Gill, who is a professional organizer, to share a recent closet makeover she did with me. The first thing she and I did was to empty everything onto my bed. Everything. Clothing, shoes, accessories, etc. Since your closet will be empty at this point, now is also the perfect time to give your closet and chest of drawers a deep cleaning. Shira helped me edit my clothing down by asking a few simple questions. It seems a little silly, but I’ve questioned myself about my wardrobe before and for some reason I was much more honest with her. I ended up with only items that I use, need, and love. She gave me a few ideas of supplies I might like to help my closet look like a more organized and tidy space. One of her favorite stores for this is Container Store and it’s a favorite of mine too. The next thing we did was go through all of my remaining clothing and accessories to determine how often I actually wear them. Obviously items that are used daily had more priority and were given more accessible storage areas. She helped to re-fold and make everything look really nice. It made me feel good about the items I chose to keep. It has been a couple of months now and so far I’ve been able to maintain order in my closet. This seems to be the hardest step for most, but since I am not a trendy shopper so as long as I am putting items back where they go it stays the same. 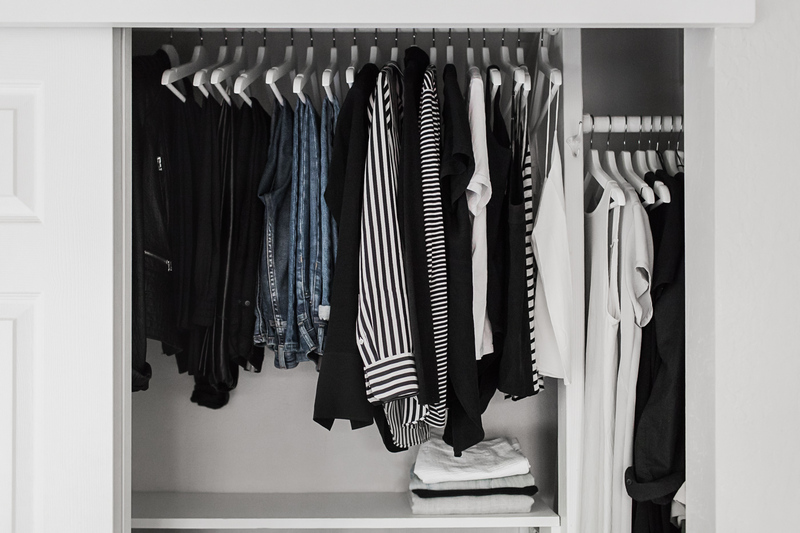 The Virtual Closet Makeover Program is intended to help anyone who feels overwhelmed by clutter or disorganization in their home, and includes the same step-by-step process I use with my in-person clients. The course consists of six printable workbooks, six instructional videos, a private FB community, and weekly live Q and A coaching calls with me. While the program focuses specifically on the closet, it breaks down the process of how to edit and organize literally anything. I’ve seen first hand the way that decluttering and organizing a person’s space can be the catalyst to bigger and more substantial changes. In the end, this process is really about taking action in your life, committing to your own self-care, and changing your habits and the way you think about yourself and your space – and that is why I am so passionate about this work. Shira is the founder of Shira Gill Home and loves helping clients create a “well-edited life” filled with fewer, better things. Since founding her business, she has transformed hundreds of homes. For information, please visit: www.shiragill.com. Follow Shira on Instagram @shiragill for weekly tips and inspiration. 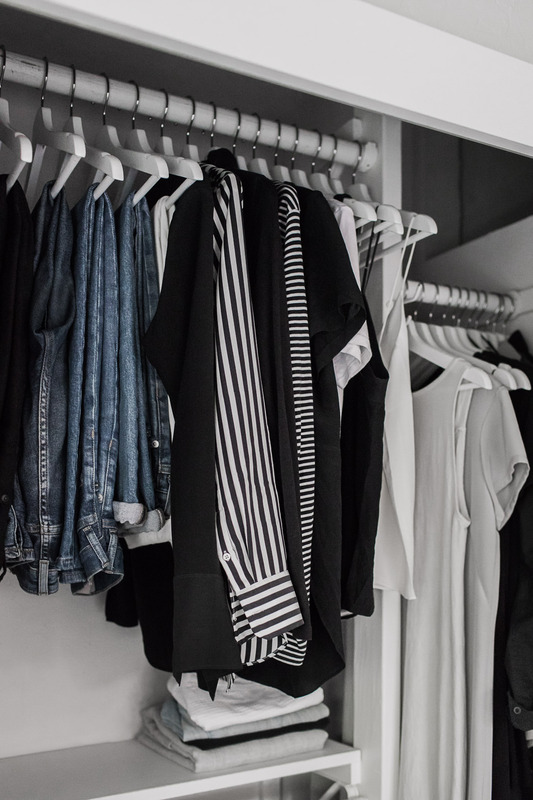 Have you ever done a closet makeover? What are some of your favorite tips? 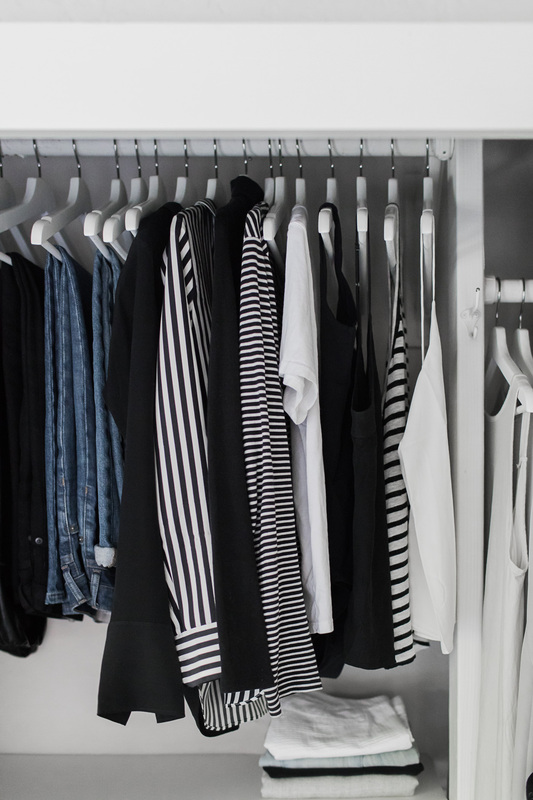 Oh this is really inspiring me to redo my closet! I desperately need to get that done for a spring project. your coset looks amazing!!! I just moved into a new place and I cant wait to decorate it. This was so helpful. I’m actually moving soon so I’m glad I found this. Thank you. This is awesome. I liked this closet makeover. Thanks for sharing these simple steps. Ohh great. Such an amazing steps. I’m must say this article is really helpful for many individuals like me who are less creative. Thanks for sharing. This was so helpful and easy to follow along. Also love all the photos of your closet and how you hang your denim.